COLUMBIA, Mo. -- No. 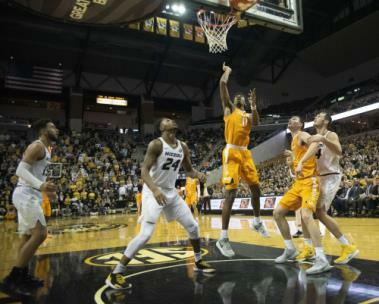 3 Tennessee rebounded from a slow start to cruise to an 87-63 win at Missouri Tuesday night at Mizzou Arena. 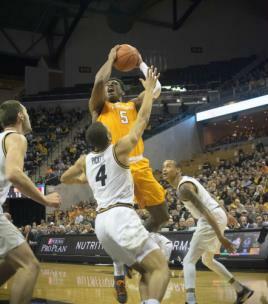 The Vols (13-1, 2-0 SEC) extended their winning streak to nine games with the victory. 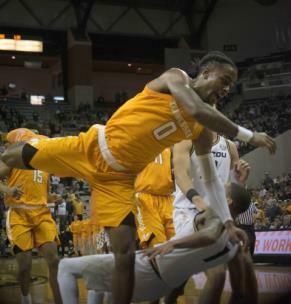 UT's 87 points were the most the Tigers (9-4, 0-1 SEC) had allowed this season. 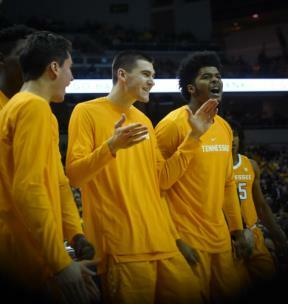 After going down by nine early on, Tennessee rallied to the 24-point win on the road. Kyle Alexander posted another strong performance in the paint, recording 14 points, a career-high 17 rebounds and three blocks for his third double-double of the season--and second in a row. 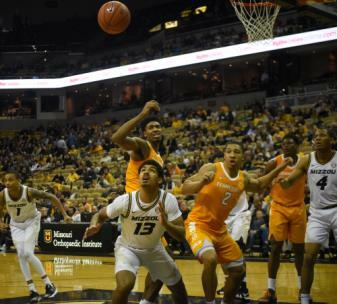 Mizzou had all the momentum to begin the game, taking a 27-18 lead behind five 3-pointers. 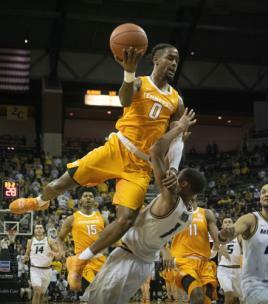 However, the rowdy crowd wouldn't rattle Tennessee, who answered with a 13-0 run of its own to retake the lead. 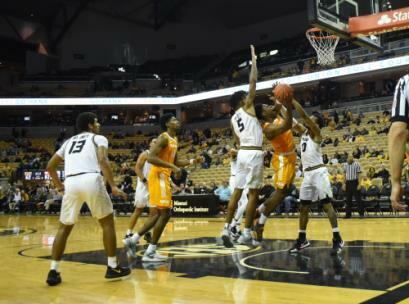 After a 10-of-19 shooting start for MU, the Big Orange settled in on defense and didn't allow a basket during the final 7:04 of the half. UT knocked down eight of its final 12 shots and ended the period on a 24-4 run to lead 42-31 going into halftime. Bone led all scorers at the break with 15 points on 4-of-6 shooting from the floor, while Bowden chipped in 10 points on his own. Alexander grabbed nine rebounds in the half to go along with six points. 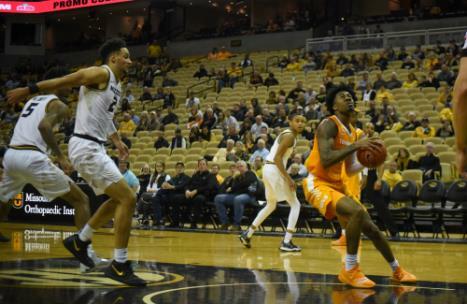 HOT HALF FOR JORDANS: Jordan Bone and Jordan Bowden combined for 25 points in the first half to spark Tennessee's offense after a slow start. 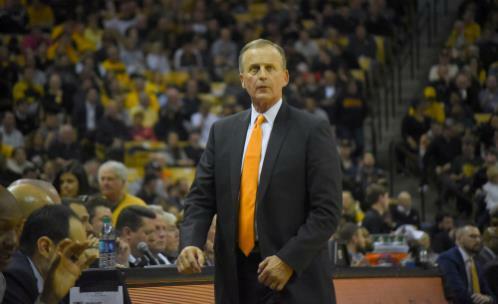 Bone dropped 15 points behind a pair of threes, while Bowden scored 10. 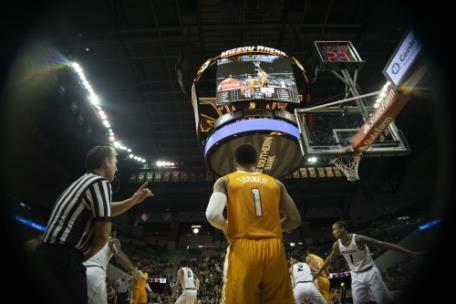 The duo scored 20 of UT's final 31 points in the half to give the Vols a 42-31 lead at the break. 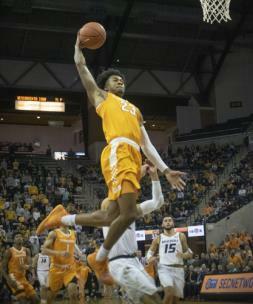 ALEXANDER THE GREAT: For second game in a row, Kyle Alexander went off in the paint for a double-double. He finished with 14 points and a career-high 17 rebounds. It was his third double-double of the season and the fifth of his career. 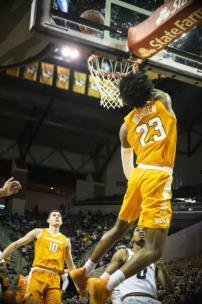 Alexander became the first Vol since Jarnell Stokes (18 vs. Mercer, 3/23/14) to record at least 15 rebounds in a game. SHOOTER'S RIM (CONT. 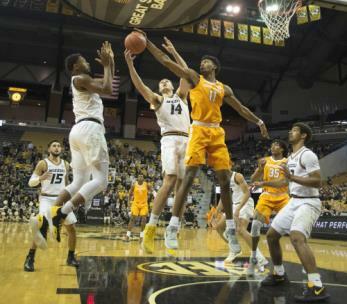 ): Over the course of its past six games—contests against Memphis, Samford, Wake Forest, Tennessee Tech, Georgia and Missouri—Tennessee shot a combined 194-for-349 (56 percent) from the field. 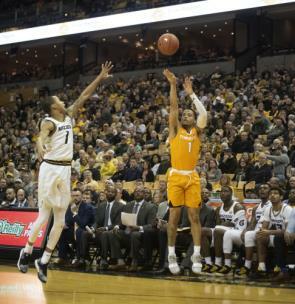 The Vols have eclipsed 50-percent shooting during each of those six wins. 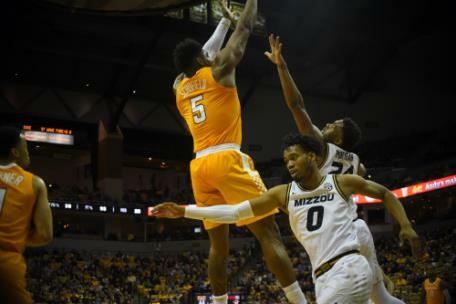 UP NEXT: After Tuesday's showdown, Tennessee will face another challenging road test by taking on the Florida Gators in Gainesville. That game will take place Saturday at 6 p.m. ET and will be televised on ESPN.